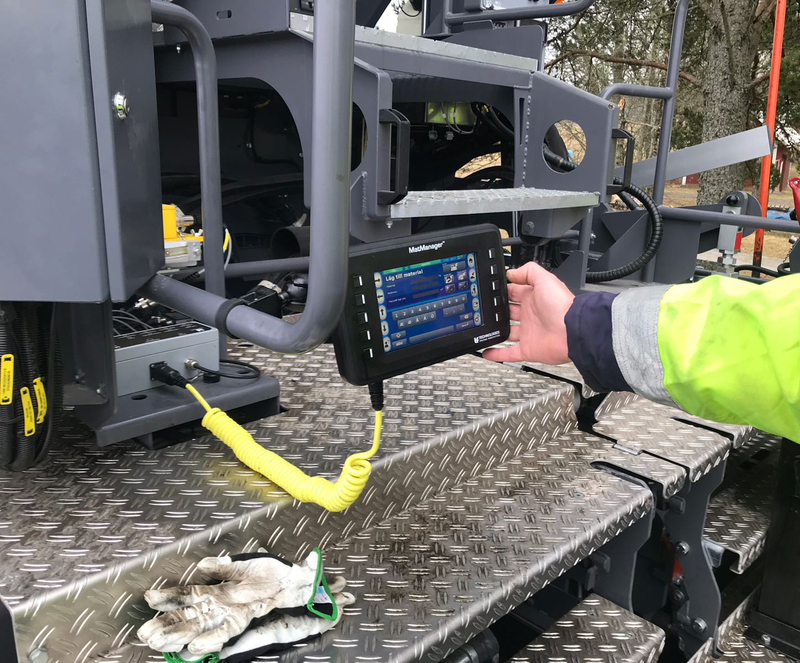 Dynapac is driving digitalization and offers a new optional paving quality system: MatManager. The system supports road construction companies in the paving process optimization, process control and process documentation. 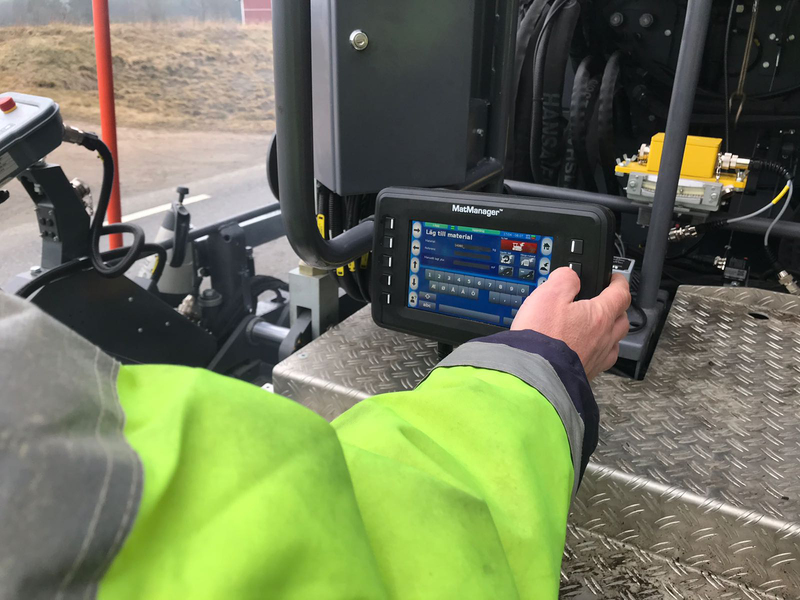 The paving quality system MatManager keeps track of your material consumption with real-time measurements to ensure you are on target and eliminate material overruns. 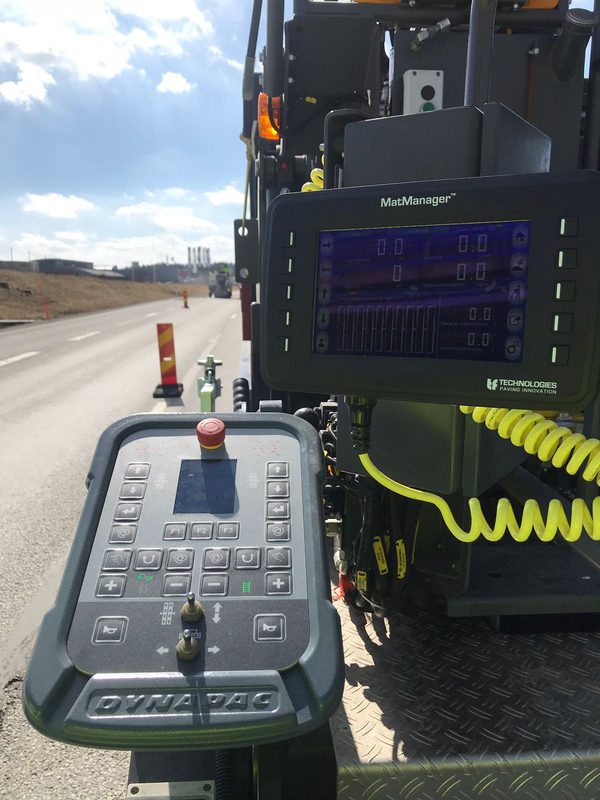 The system uses a range of different input sensors mounted on the asphalt paver to measure and calculate key paving parameters. The data is collected via an interface box, processed and displayed on an external monitor with touch display. All data can be exported for analyzing and reporting. Thanks to the quality system the paving workflow can be optimized because it documents how many kilograms you have put down per square meter paved and registers instances of stop, start and loading to document it. This enables a better self-control which is supported by the analyzing and reporting functions of the tool. The collected data can easily be compared to the required specifications and used for creating job reports. Next to monitoring paving data, MatManager is also used to comply with the documentation requirements of some authorities. The paving quality system is already used by Dynapac customers such as NCC, Skanska and Svevia and is now available as an option.